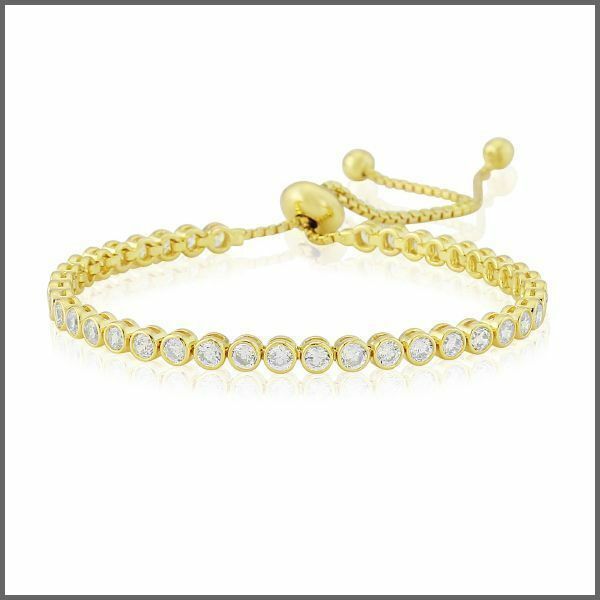 Crafted from sterling silver and plated in a rich 14ct yellow gold plating this bracelet features a classic tennis design. The pure white iconic Waterford cubic zirconia's are placed in a solid rub over setting. The bracelet fastens with a contemporary silicon slide, allowing this stunning bracelet to fit all wrist sizes. This bracelet is hallmarked and authenticated in Dublin Castle, Ireland and beholds a Waterford seahorse emblem for authenticity.